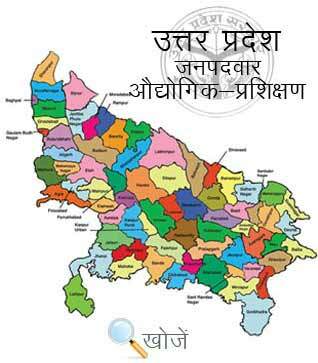 Shahjahanpur city, Uttar Pradesh is the Administrative Headquarters of Shahjahanpur District and is a part of Bareilly Division. It has major clothing factory for Defense Forces called Ordnance Clothing Factory. The city has many institutions for the students to guide and educate them properly. Swami Shukdevanand Post Graduate College, ShriJanki Institute of higher education for women, Sun Institute of Management and Technology, ITI’s etc. are fewer from the list. In a modern world, technical education is very important, not only for the student even for a tradesman also. Many Industries wants employees or workers who have technical education and experiences. Focusing on this point, Government opened various ITI’s (Industrial Training Institutes) to provide training for various technical and non-technical courses to the students to reduce unemployment in the country. At present, the city has 3 Govt. and 6 Private ITI’s. Duration of these courses is 6 months to 2 years. Matriculation is mandatory and age up to 14 years. Trainees get paid monthly during the training and get NTC (National Trade Certificate) also. In Uttar Pradesh, Vyavasayik Pareeksha Parishad (www.vppup.in) is responsible for conducting the entrance examination for admission in ITI’s. Aspirants can also go to www.upiti.in to get comprehensive details regarding admission dates, admit cards, results etc. to save their precious time.